5 Features That Will Make You Want To Buy Samsung Galaxy S9, Sophisticated! The new smartphone Samsung, Galaxy S9 and Galaxy S9 Plus finally is out in the market around the world. Previously, the two flagship smartphone first appeared in the event 'Galaxy Unpacked 2018' in Barcelona, Spain on Sunday. In terms of design, Galaxy S9 and Galaxy S9 Plus will carry a 5.8-inch AMOLED screen and 6.2 inches. As for the 'innards', both equipped with the best processors on the market today, the Exynos 9810 or Snapdragon 845. Not only that, some advanced features will also be pinned on Samsung Galaxy S9 and S9 Plus. Here's the 5 features that will make you want to buy the new Galaxy S9 and Galaxy S9 Plus. Armed with a 12 Megapixel camera, the Galaxy S9 will be able to record super slow-motion video with frame rate of 960 frames per second at 1080p resolution. That is, you can record object movement very slowly. This capability is claimed to be equivalent to that of a professional camera. 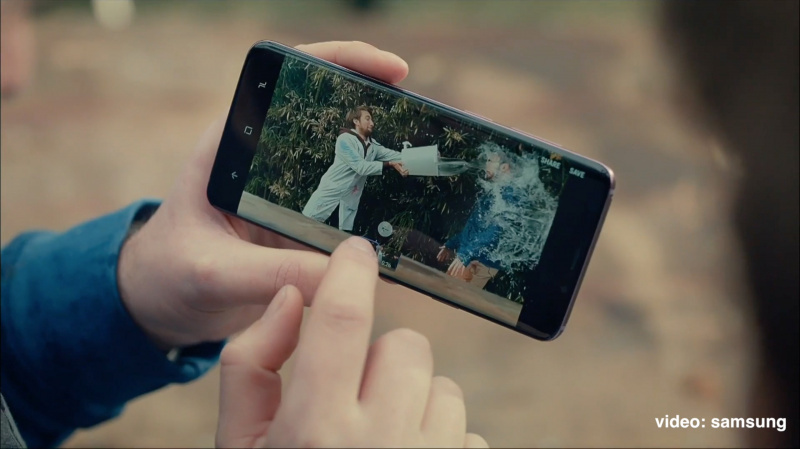 Super slow-motion feature will be able to detect object movement automatically when recording. In addition, users can also choose background 35 music options as backsound video. Samsung apparently will really spoil lovers of photography through Galaxy S9 and Galaxy S9 Plus. Another feature that is seeded is low light photography. The camera installed in Galaxy S9 and S9 Plus will determine the quality of the image with good lighting. The main camera on the Galaxy S9 and S9 Plus will be equipped with aperture F1.5 and F2.4 sensors. The camera automatically adjusts the light while taking a picture. 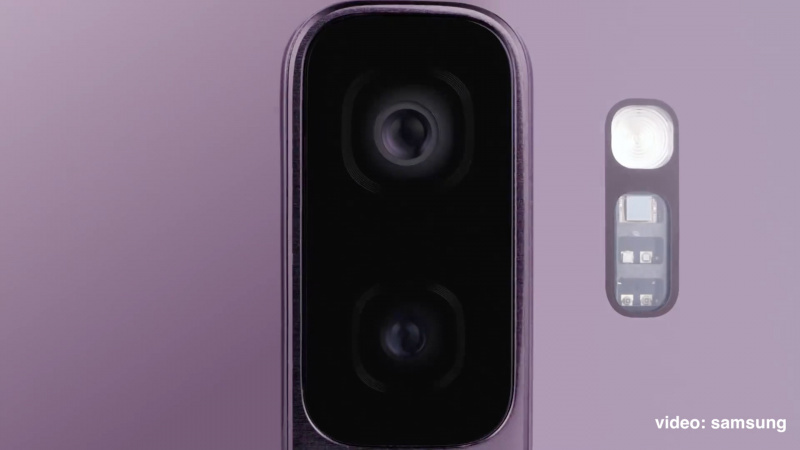 Especially for Galaxy S9 Plus, Samsung also instill dual camera with an additional 12 Megapixel telephoto lens, where both lenses are equally equipped Optical Image Stabilization. 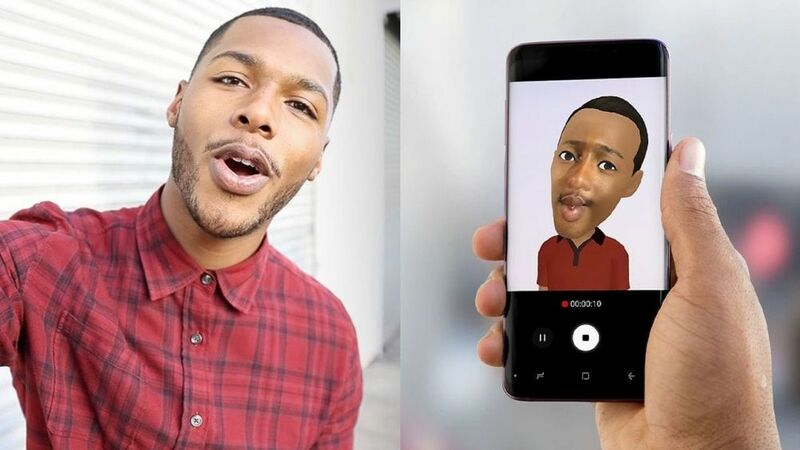 In order to compete with iPhone X, Samsung also embed AR Emoji to Galaxy S9 and S9 Plus. AR Emoji in two newer smartphones utilize a data-based machine algorithm. AR Emoji will map over 100 facial features to create a three dimensional model. You can make dozens of different Emoji AR characters to save. In addition to creating avatars from the face, you can also make AR Emoji from famous cartoon characters like Mickey Mouse, Minnie Mouse, and also The Incredible. Samsung Galaxy S9 and S9 Plus are also equipped with an automatic language translation feature called Bixby Live Translation. To use it, you just open the default camera and direct it to the sentence or word you want to translate. There are also other Bixby features such as Bixby Vision to identify nearby restaurants and Bixby Quick Commands to enable digital assistant features. Again in order to compensate for the iPhone X, Samsung also updated security technologies that include fingerprint sensor, iris scanner, and face unlock. In Galaxy S9 and S9 Plus, Samsung is updating these technologies so that it can work with maximum in various light conditions. 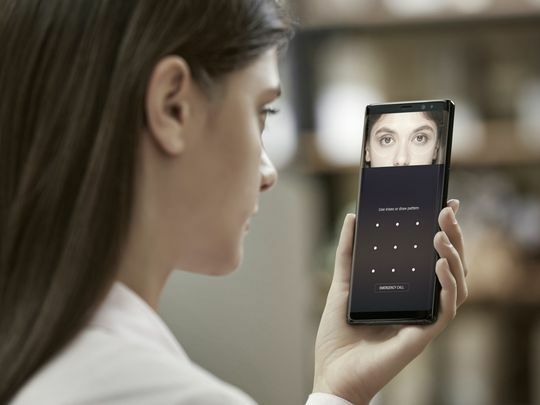 For more security, there is an Intelligent Scan feature using iris scanner that will automatically be active when users access mobile banking applications or Samsung Pay.